Asos Leather Twist Lock Vintage Style Satchel in tan, originally $120.68, on sale for $96.54. 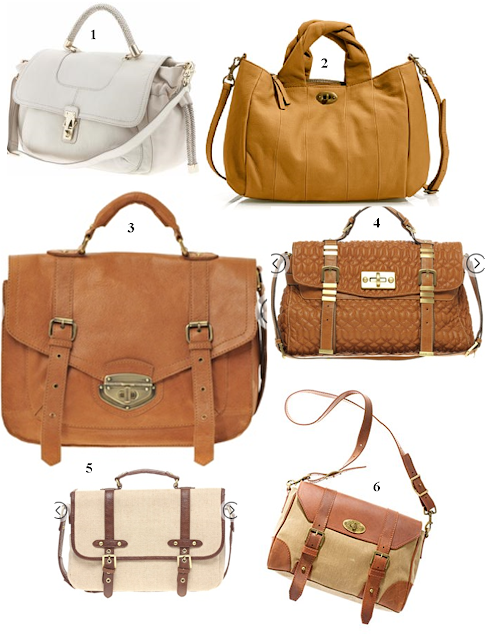 In particular, I can't get enough of #3 - the leather looks so luxurious, and it's a bag that can outlast all trends. Here's wishing! Ohhh, so in love with #3!